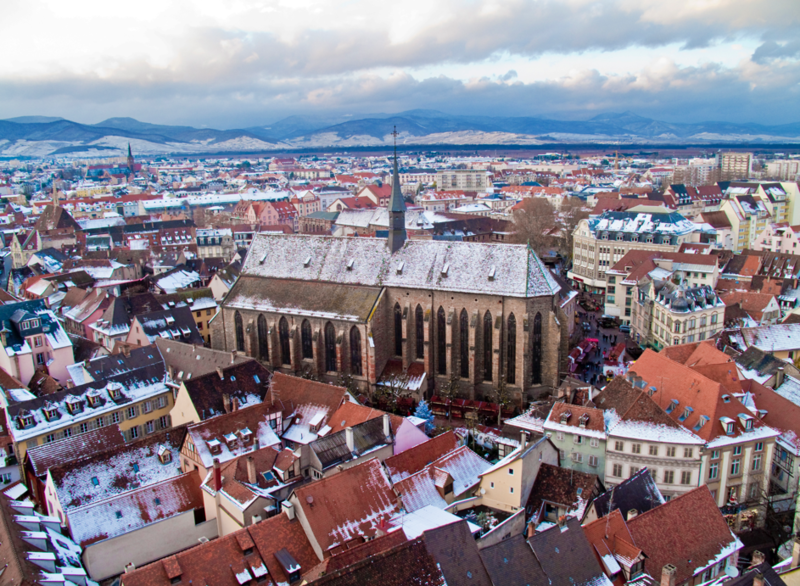 In the far east of France, the small Alsacien town of Colmar is discreetly awakening from its spring idleness and preparing the long awaited 71rst edition of the Colmar wine fair. The town of around 60,000 inhabitants will be invaded by 300,000 visitors coming from all around France but also Germany, Switzerland, Luxembourg, to celebrate it’s love for gastronomy, music, business but mostly…alsatian white wine! Located 60 km south of Strasbourg, Colmar is the official wine capital of the Grand-est Region and the city was voted 37th in the “Places to go” ranking of the New York Times in 2016. During 10 days, between July 27th and August 5th, a multitude of encounters, discoveries, business opportunities and food tastings await you in one of the 3 largest fairs in France: 260 exhibitors from 9 different sectors will be present, ranging from viticulture to automotive to international gastronomy. A big festival is organized with about 20 artists from different horizons, some of which are internationally renowned such as Lenny Kravitz, the Scorpions, but also French artists Nekfeu and Indochine, who recently announced their coming. In short, a large-scale event that will delight young and old alike. However, we must not forget that the accent of course is placed on the Alsatian Wine which remains historically the major attraction of this fair. A multitude of activities are organized around this theme: blind tastings, workshops, conferences, but also the election of the famous Queen of Wines. Of course, we would like to remind our readers that the abuse of Alsatian white wine can be dangerous – you may end up staying in Alsace longer than expected! Known as one of the most “romantic” towns in France, its charm lies in its rusticity and timbered houses that border picturesque canals. An important stop on the famous Wine Route, cyclists and “Blanc” lovers can take a pause and enjoy the many traditional restaurants that offer exquisite sauerkraut and flammekueche; all this in dry and temperate weather, essential to the production of the best Pinot and Muscat de France. For the curious and the history amateurs, “Little Venice” hides many well-kept secrets that you can discover by walking around the narrow streets and the old multi colored buildings. The town’s old churches and museums have been very well preserved and remind the visitors of its past Germanic influences and its fishermen traditions. 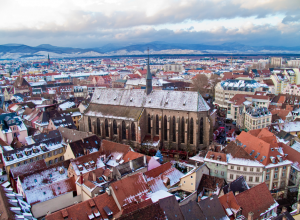 Finally, in december when the winter covers the town in a thick white coat of snow, the city center is transformed into a unique Christmas atmosphere and Chrismas market that attracts families and couples, in search for a little extra magic for the holidays. 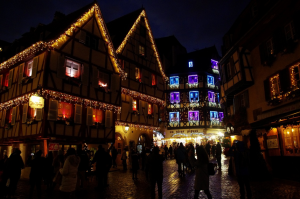 Colmar is a perfect destination for a holiday getaway if you are looking forward to avoiding the noise and restlessness of the French cities. In Colmar you will find peace and tranquility, the french countryside is an ideal place to rest and enjoy a relaxing setting, good food and outdoor activities. Away from the major French touristic routes and rather difficult to access, Colmar does have a small airport, very convenient if you want to avoid the queues at the airports and the traffic jams outside the big cities. Fly Aeolus can take you there in the space of 1 or 2 hours aboard one of our Cirrus SR22 private air taxis, which will also allow you to discover the Alsatian landscape from the skies. For more information, please visit our website and our price calculator.